This area’s loyal residents come here for the beauty, the privacy and the tranquility. The homes sit on large and private properties, with beautiful panoramic views of the surrounding area. This vast area of rolling hills and quietly trafficked roads are a cyclist’s dream. Living in Burlington means your kids can easily be enrolled at one of the many stables offering horseback riding camps. Living in the country is a dream for many. Burlington is committed to preserving its rural area, so come here to live the dream. Mount Nemo: enjoy hiking, exploring caves and even rock climbing with spectacular views. You can even see the CN Tower on clear days. Access to local farm food. Pick your own veggies, organics etc. 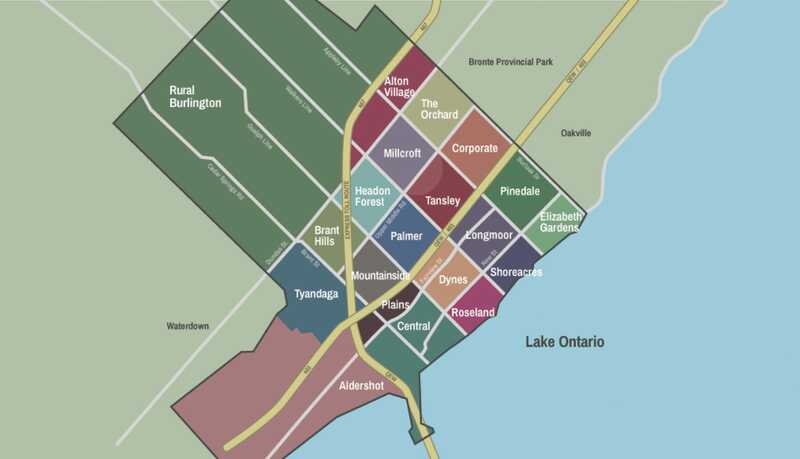 How much does it cost to live in Rural Burlington? Your typical neighbours are deer and birds. But should you run into anyone while biking or walking, they’ll likely be an outdoorsy family. Driving to Toronto from Rural Burlington takes approximately 45 minutes. However, during rush hour the time you spend in the car could increase to approximately 1 hour 25 minutes. Using the GO Bus from Dundas and the 407 is another option and gives commuters a consistent travel time to Union Station of 57 minutes. Rural Burlington happens to be the very close to the 407, which will cost you to use, but also get you there quick. Looking to leave the city behind and escape into the beauty of lush farmlands and the escarpment? Rural Burlington is calling you. This area is tastefully removed from the urban noises and stresses. But the city is still a short drive away for when you’re ready to return. Rural Burlington gives you a charmingly slower speed of life. The area’s loyal residents come here for the beauty, the privacy and the tranquility. The homes sit on large and private properties, with beautiful panoramic views of the surrounding area. You will find a mix of older mid-size homes, as well as larger and more extravagant custom builds. Rural Burlington gives you a charmingly slower speed of life. Speak with anyone living here and they will tell you, the benefits to living in this remote natural setting far outweigh any of the extra tasks that come with having more land or a septic system and well. There are two small towns in the area. Lowville is a small village with a population of about 300 people and a super-quaint bistro sitting in the center of town near Lowville Park. While Kilbride lies just south of Derry Road and gives you the natural beauty of rural living, just a short drive away from the more heavily populated parts of Burlington or Milton.